This item has been discontinued due to the release of its successor called Folgertech FT-5 R2- Full of CNC Cut ACM (Aluminium composite Material) and Higher wattage bed for Faster heating. 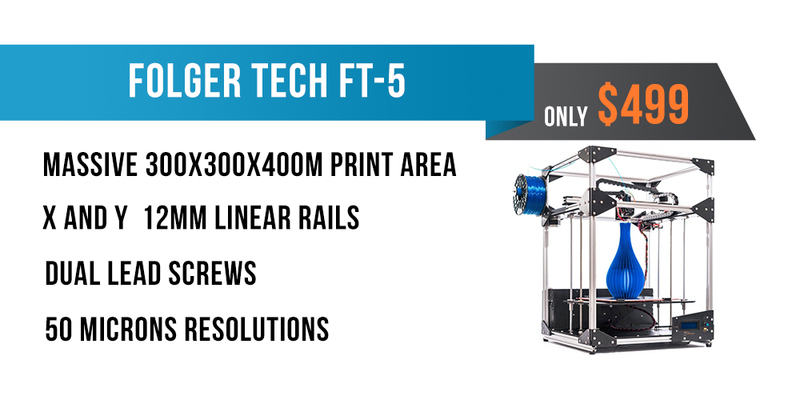 Folgertech FT-5 is a Large Scale 3D printer kit boasting a huge 12inx12in15.75in print area. The kit comes with everything you need to assemble the machine with the use of a few simple tools. The highlights of this kit are the massive build area, Linear rails on the X and Y movements. Dual Y and Z motors for additional speed and power. 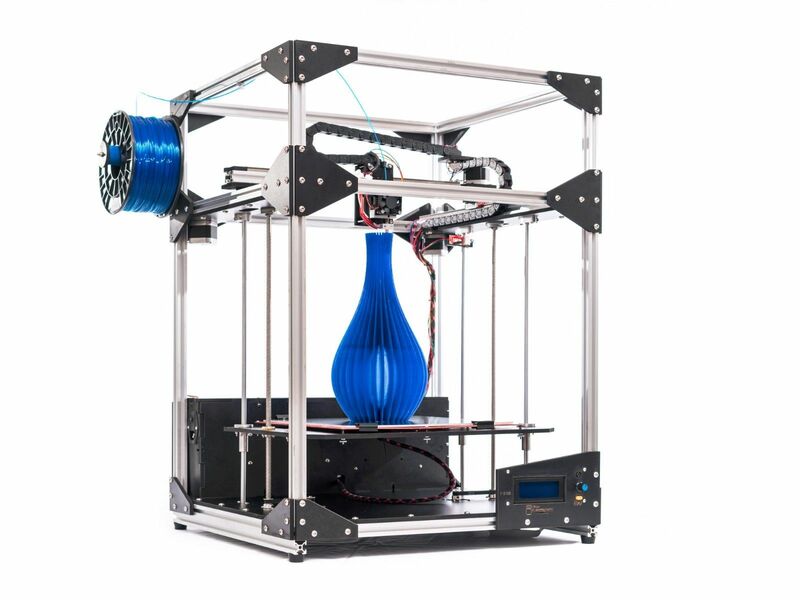 This kit also includes an 12 V aluminum build surface/headed bed capable of printing many materials including PLA and ABS. I bought FT-5, and it's my first printer. I didn't find the assembly bad at all and I'm getting very good prints with not a lot of fiddling and adjustment. While a lot of people upgrade the melamine parts to aluminum or printed parts, that's something you can do over time, it's not necessary out of the gate. There is a fantastic community that can help you out. If you want a FT-5, don't hesitate for a second. It is the most versatile kit and best value for your money. Have spent a good amount of time redesigning and rebuilding the machine with the mods. So far I am very happy with how its going. This printer is amazing it's build plate is huge for the cost and the accuracy and speed is insane it does take a little tweaks to make perfect but for even a novice it's a great start to learn how to build kits and print my only recommendation is to take an inventory before you start so that you know what's what because it gets a little confusing when you run the middle of the build and you don't know the difference between a M3 screw and a M4 screw! I researched a LOT before buying an FT-5. I highly recommend 3DPrintersBay for anyone wanting to buy one. Very fast response, very fast shipping. Two thumbs up..! As for the FT-5 itself, I am still in the process of building it. My comments on the manual and documentation in general so far are: 1) They should have included an SD card with ALL of the documentation, software, and photos that they possibly could 2) The itemized list of laser cut parts is incorrect (there are two FT5s, not one, and one FT13, not two) 3) Some of the assembly order simply does not make sense. It is much easier to do some things differently. Anyway, it is a solid kit, well made, and aside from a few minor things (mostly due to my personal preferences), I would definitely buy it again and recommend both it and 3DPrintersBay highly!